"blown away by the stupidity"
Not Verified | Raleigh Durham to Tuscon. I am blown away by how dumb this airline has gotten. I'm on a plane right now with half of the seats empty. All I wanted to do was move to and empty row so I am not on top of people and the flight attendant tells me I have to pay extra to move from my seat! Are you kidding me? I have to pay extra for a seat that no one is sitting in anyways! How far has this airline fallen? Are we that hard up nowadays that we can't change a seat on an empty airplane. I am absolutely blown away by the stupidity of this. No more American airlines for me. If they are hurting for money that bad maybe it's time to call it quits. There's no shame in cutting your losses and shutting it down. ✅ Trip Verified | We will never fly American Airlines again. The customer service was non-existent. I would avoid any layovers in Philadelphia as the airport is understaffed with AA personal and extremely lazy. After our flight was cancelled due to the pilots leaving the plane and no one coming to replace them we were not given any accommodation, reimbursement and they could only put us on a flight 2 days after our original arrival date. ✅ Trip Verified | Omaha to Dallas Fort-Worth via Las Vegas. American Airlines has the rudest, most uninformed workers I've ever seen. Instead of treating the customers poorly they should be apologizing for their delay or apologizing because they don't know where to find them the transportation they need to get through the airport. But no they're rude and act like it's our fault that we don't know how to do their job, if they don't like their job they need to find a new one. Furthermore if they don't know how to do their job they need to tell they're Superior so they can find someone who can. "short notice of the cancellation"
Not Verified | Memphis to Colorado Springs. 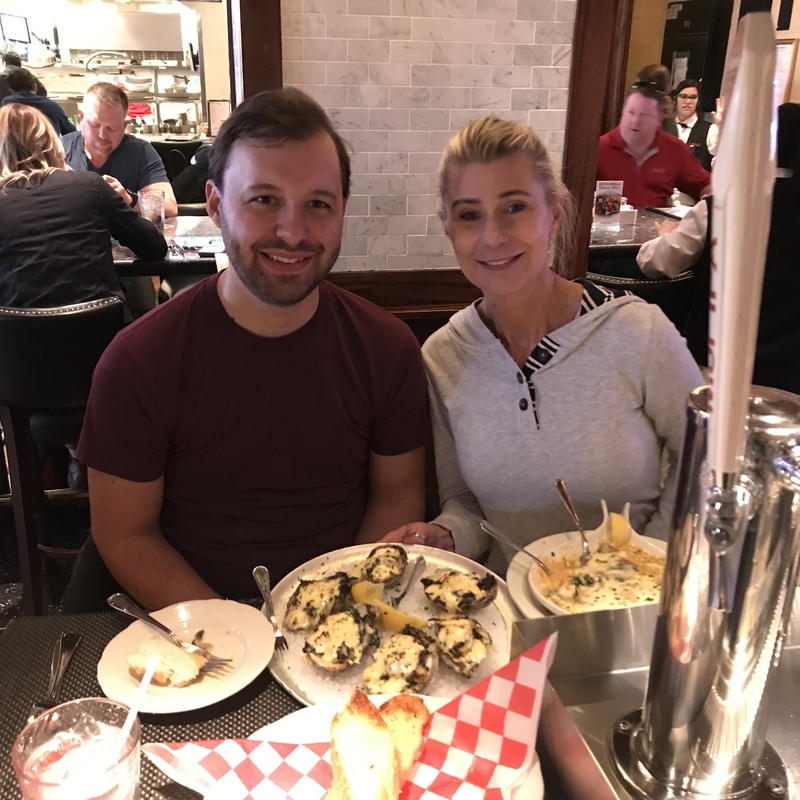 My wife was scheduled to fly out at 6 am on April 20, 2019. She received a text at 7 pm on April 19 stating that her flight had been cancelled. The reason she booked an early flight was so she could be in Colorado Springs shortly after our son gets off work. He’s stationed at Peterson AFB in Colorado Springs. She was booked a flight 6 hours later than originally. Which puts her coming into Colorado Springs about the time he leaves for work. Not a lot of time for him to pick her up, get back on base, get her checked in at a room on base and then get to work. She called to see why her flight was cancelled and the CSR said it was due to maintenance. Not real happy with American Airlines and the short notice of the cancellation. 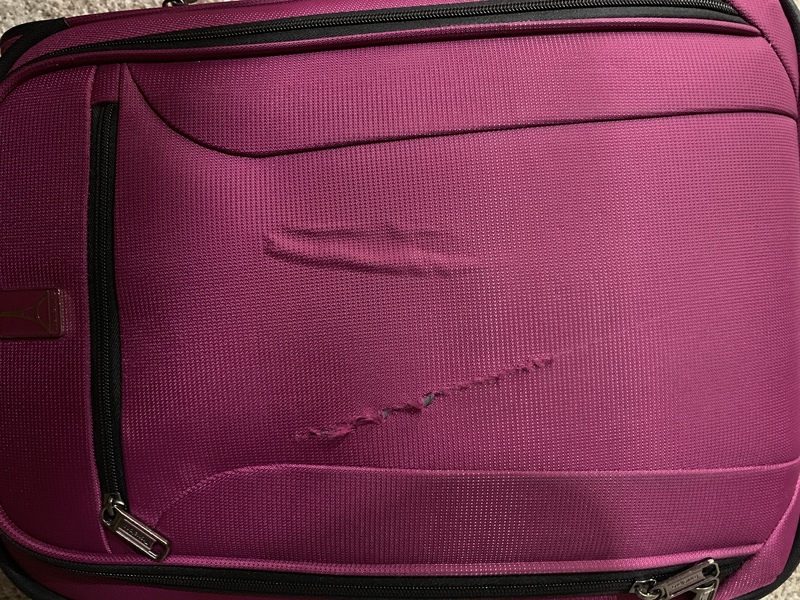 "terrible customer service at O’Hare"
Not Verified | Chicago to Puerto Vallarta. American Airlines has terrible customer service at O’Hare. Came from over-crowded Admirals Club to find flight delayed, no explanation from ground crew, passengers crowded in “cul de sac” at end of concourse, many passengers sitting on the floor. I’m Plat Exec, but am going to switch to another airline. ✅ Trip Verified | The stewards on my flight from Charlotte to Ft Lauderdale (flight 0033) were nothing short of amazing! They were pleasant, always smiling and really went out of their way to help me. I dont normally fly American Airlines, but I will again. "low point of my family's trip"
✅ Trip Verified | As I am writing this I am sitting in LAX. American Airlines has been the low point of my family's trip. My flight to LAX was delayed, and we had to race to get to our connecting flight back to Boston. Even though they had radioed to let the gate know we where on the way they would not let us board or hold the gate for even a minute even though it was thier fault we were late. When we went to customer service we were informed they could get us on another airline, but only if we were advantage status customers. Because we where just regular customers we would not be able to fly out until the morning. The 2 girls at the customer service area ar LAX had the personality of soulless automatons. 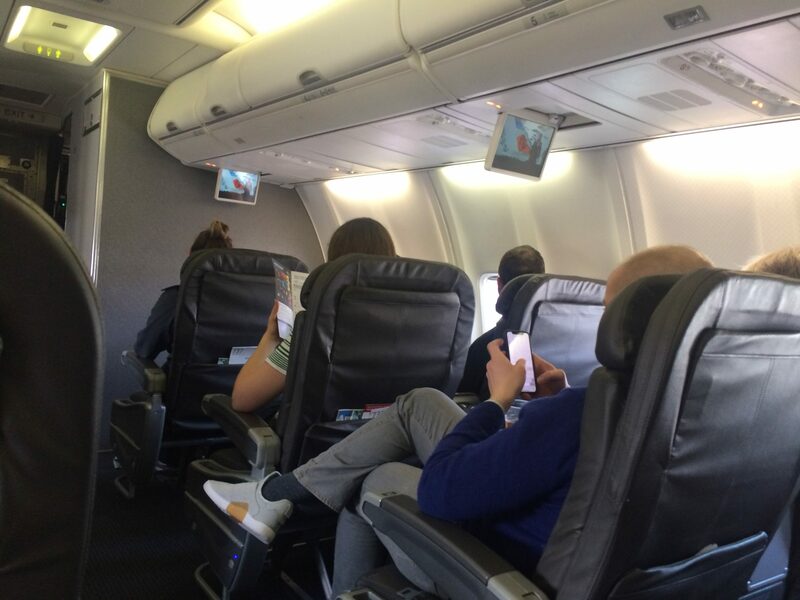 The experience flying with American has been hot garbage from the lack of just commonly decent politeness to the barrage of ads and flyers handed out by the flight crew to sign up for thier credit card. Needless to say my next flight will not be with this airline, as they are so fond of reminding me during this trip I do have a choice in airlines. 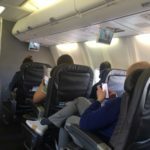 "worst airline I’ve ever flown"
Not Verified | San Francisco to Phoenix. American Airlines is the worst airline I’ve ever flown with. Every time I fly with this horrible company there is a ridiculous inconvenience. I’ve had cancelled flights, several hours in delays, and to deplane too many times to count. I always tell myself it is the last time I fly American Airlines, but today is most definitely the last straw. I write this review as I’m deplaning their aircraft, yet again, for some stupid problem they couldn’t figure out ahead of time. ✅ Trip Verified | Austin to Miami. We will never fly American Airlines again. I would have loved to write a review on American airlines website to tell them about my experience however American airlines only gives you 7 days from your flight date to write a review. I couldnt have within this time frame since I was still on vacation internationally. This flight I'm referring to was on 4/8 from Austin to Miami. From the very beginning it was the most rocky turbulent flight I have ever been on. All the people around us was commenting on the turbulence. The plane then drops and then shoots up again. The pilot came on the intercom and said. "Sorry about that folks, we were a little to close to the plane in front of us. We will have to circle around and try to land again. It will be about 5 minutes". We finally land and we took forever to taxi to get off the plane. We had another flight to catch and we had hoped to still make it. No one on the intercom told us anything about our connecting flight. We had to run from gate 19 to gate 49. We had 8 minutes to spare and the plane was already pulling away. They did not call our names over the intercom or call out for final boarding. They just left even though it wasn't our fault. We ran to the next gate to tell them but they just told us there isnt anything they can do and to go to the rebooking center. Then we had to walk back to gate 37 to the rebooking center. We talked to the agent told them what happened. She has no sympathy, no compassion and a huge attitude. We rebooked for a few hours later. But, better customer service and compassion and a heartfelt apology would have gone a long way in this situation. We got neither. 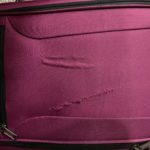 "a great one way trip"
Not Verified | I had a great one way trip with American Airlines beginning with the curbside baggage and boarding pass agent at the Atlanta airport, a very patient and helpful young man. Next the wheelchair assist woman Pam was very kind and helpful, we had a nice conversation on the way to my gate. One flight attendant was outstanding, with a smile while serving my cup of ice. The flight was very nice, quite cloudy with little turbulence.